Roberta Frontali Extra Virgin Olive Oil is a versatile product ideal for any dishes. With its sweet notes of green almonds and harmonious bitterness and spiciness, it is perfect on meat, fish, aged and fresh cheese, salad and soup. Fragrance: Medium fruitiness with hints of green olives, artichoke and tomato. Taste: Sweet taste at first with notes of green almonds followed by a balanced bitterness and spiciness. For three generations, Azienda Agricola Roberta Frontali, located in the Emilia-Romagna region, has produced outstanding extra virgin olive oils as well as a specially curated selection of natural gourmet products including jams, pickles, tomato purees and fruit juices. Currently run by Roberta Frontali, the farm has made a name for itself through its focus on quality, not quantity, and for being female owned and operated. The farm’s first facility was built in the early 1900’s and the second was built in 2004 by Roberta. Located about 280 feet above the Adriatic Sea, the olive groves are home to roughly 5,000 trees. About half are over 300 years old and the other half are 45 years old. Interestingly, a portion of the trees are grown on sandy soil and the others on clay soil. Each year, the harvest is done between October and November. 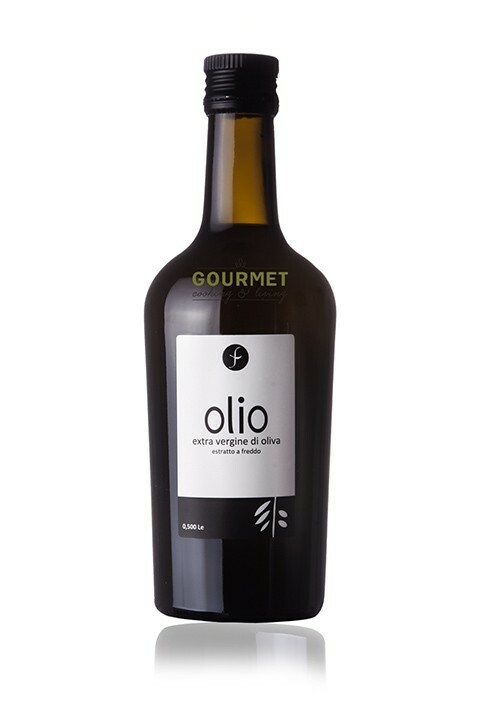 The olives are handpicked at the exact point of ripeness and hand crushed to obtain high organoleptic qualities. The farm produces oil using mainly Corregiolo, Frantoio, Leccino, Maurino, and Coratina varietals. Azienda Agricola Roberta Frontali is a special place where one can breathe, walk and taste simple products within nature. This passion for utilizing the earth’s gifts to produce the best in extra virgin olive oils has led to its distinguished reputation for excellence.